You only need to peruse the pages of any fashion magazine or visit any footwear store of a mall to know that sheepskin UGG footwear is the latest trend of the era. UGG boots are made of the finest natural sheepskin, but the question is what does this actually mean? Sheepskin is something exactly what it sounds like – the tanned hide of sheep, with skin on one side and wool on another side. In Australia, sheepskin has been the preferable choice for seat covers, outwears, baby sleeping bags and also footwear for generations. Unlike synthetic materials that are used in many other available boots, sheepskin is 100% natural. It is not manufactured, and every sheepskin has its own unique markings that make every pair of UGGs impeccable and different. Small imperfections are proof that what you are wearing is authentic and genuine. What is the specialty of sheepskin? It keeps the sheep dry and sheepskin shoes can do the same for you. The lanolin in the wool and the skin is another good water resistor. So, these shoes can be your ideal choice to keep your feet dry, even in the damp cold of the winter season. You can add more protection with a coat of a good waterproofing spray and stain resistor. Sheep’s wool can hold 30% of its own weight in moisture even before it starts feeling wet. Wool fiber is also hollow and draws moisture from your body. 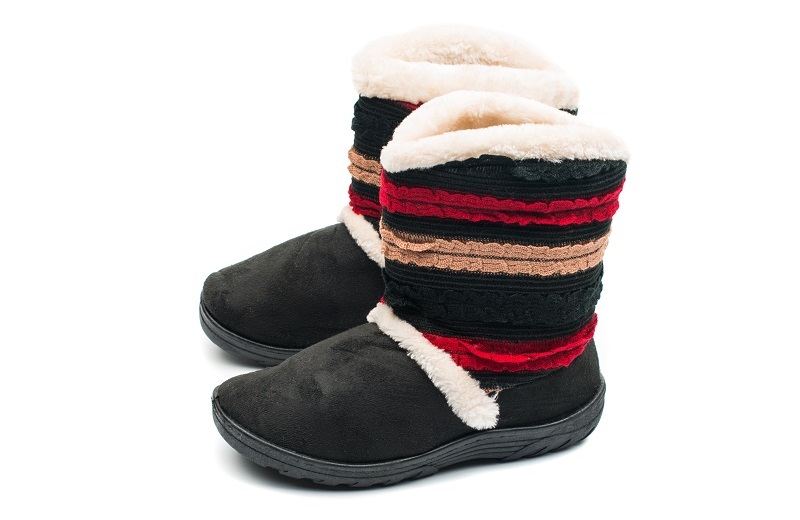 So, sheepskin keeps the feet warm in winter and cool during summer. It can reduce sweating and heat. Sheepskin slippers, boots and casual shoes by UGG can give you the needed comfort and keeps the feet dry – which synthetic materials can’t. In addition, this, the hollow structure of wool makes it an excellent natural insulator. So, you will get cooler feet in summers and warm feet in winter. Sheepskin wool feels like fleece. In the test of durability, it can be bent 20,000 times without any breakage in fibers. Therefore, this is the most long-lasting material for shoes. By contrast, the manufactured fibers like rayon break after 75 bends only. The environment is a major concern for many people. Shoes made with synthetic materials will be with us for a lifetime – as chemical and plastic materials do not naturally degrade. These materials stay in the landfills for centuries. As UGG sheepskin is 100% natural, it decomposes back into the soil. Unlike most of the skins and furs, sheepskin UGGs is the byproduct of the food industry. Tanning the sheepskin and then using it for shoes makes an environmental sense and helps one to avoid wasting a precious natural resource. Wearing the sheepskin shoes does not threaten any endangered species. Natural sheepskin is also a good choice for baby or children shoes. Baby booties – made of natural sheepskin keep the baby’s feet dry and warm without constricting them. When your little angel begins to walk, the natural suppleness of the sheepskin shoes makes it easy for the toes to flex and grip the way they need to – in order to balance during the precarious early months of life. Your Guide to the 2018 NBA Playoffs!